Shanghai University is offering scholarships to international students who wants to undergo a bachelor, master and doctoral degree programme (except MBA and MTCSOL). This scholarship is worth : Bachelor: RMB 1100/ month; Master: RMB 1700/ month; PhD: RMB 2100/ month and a Free on-campus dormitory accommodation. 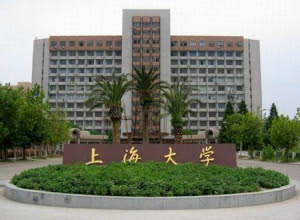 - Applicants must be enrolled in a Chinese University during the time of application. - Applicants applying for the undergraduate degree program must be under 25 years of age. - Applicants applying for the masters degree program must be under 35 years of age. - Applicants applying for the doctoral degree program must be under 45 years of age. - Applicants must have an outstanding academic record. - Study Plan or Research Proposal in China: Written in English or Chinese, including research achievements so far, reasons of choosing SHU, study and research plan, future career plan, etc. - Two Letters of Recommendation: Written in English or Chinese by two different professors or associate professors from previous academic institutions, or work supervisors, etc.